If You want to maintain your floors with a Mop-On Acrylic, we always recommend following the Manufacturers Label Instructions. See the link below for additional instructions. 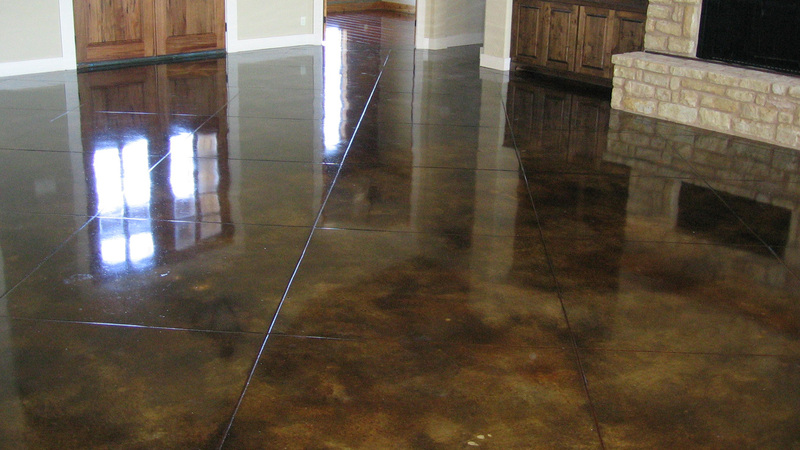 Chemical stains can be applied to new or old, plain or colored concrete surfaces. Although they are often called acid stains, acid isn’t the ingredient that colors the concrete. Metallic salts in an acidic, water-based solution react with hydrated lime (calcium hydroxide) in hardened concrete to yield insoluble, colored compounds that become a permanent part of the concrete. Several companies manufacture chemical stains that are variations of three basic color groups: black, brown, and blue-green. In general, cements that produce larger amounts of calcium hydroxide during hydration will show more stain color, and higher cement contents pro-duce more intense colors. Air-entraining or water-reducing admixtures don’t pose a problem. However, calcium-chloride accelerators can cause very mottled, darkened areas, and for this reason aren’t recommended. Non chloride accelerators don’t cause this mottling effect. If they’re near the surface, calcium- based aggregates, such as lime-stone, take stain readily and deepen the color of the concrete above them. Siliceous aggregates, such as gravel, don’t react with the stain. Open finishes achieved by floating followed by minimal troweling take more stain and produce denser colors than do hard-troweled surfaces. However, open finishes lose color faster because the concrete wears away. 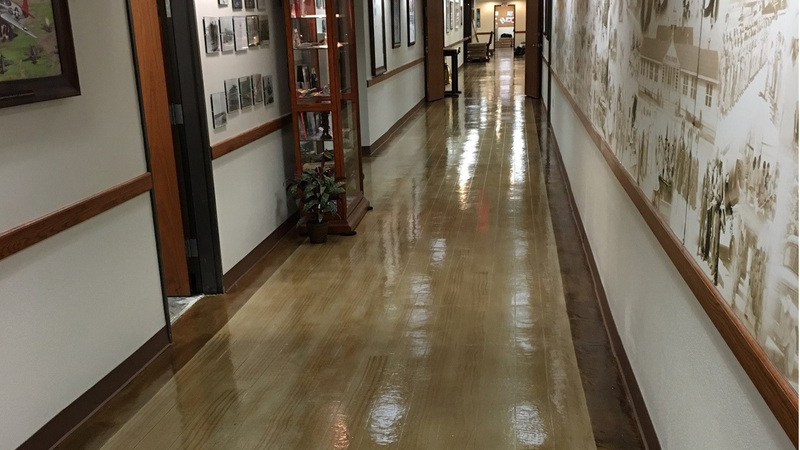 Because of this, Gary Jones, president of CP Concrete Systems in Burnaby, British Columbia, Canada, prefers staining hard-troweled surfaces because the stain color lasts longer. "Colors on troweled surfaces also look richer than those on floated surfaces," says Jones. "But you have to sand the surface or use a higher acid concentration to ensure adequate stain penetration." 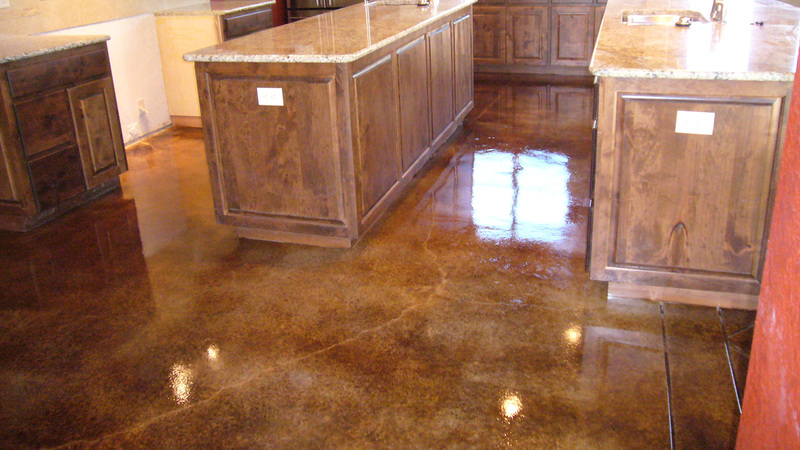 Slabs placed in wet weather result in a richer stain color if the concrete is stained soon after it’s placed. 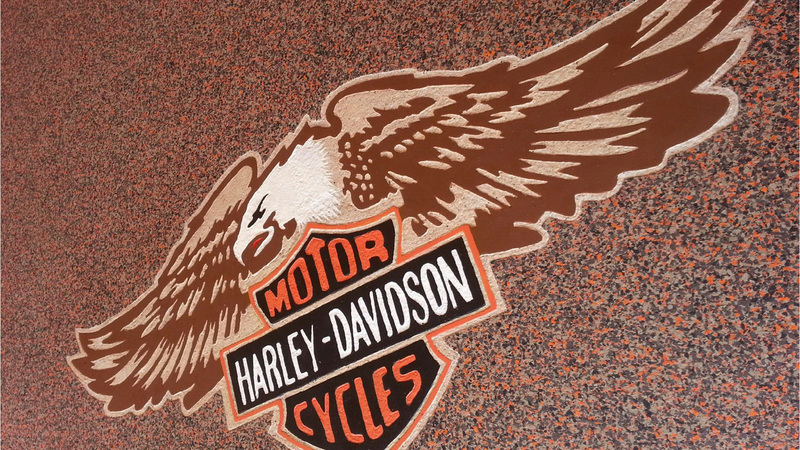 However, wet slabs are more likely to effloresce, lightening the color and causing a more mottled effect in areas where the stain doesn’t take because efflorescing salts hinder penetration. On sunny days, the concrete can become hot and dry, and the stains won’t penetrate as deeply into the concrete. The continued presence of water will cause the reaction to continue for a long time, and concrete stained blue-green will gradually turn brown or even black. Initially, this provides nice variation to the appearance, but eventually, nearly all the blue-green color may change to brown and black. Because of the possible color shifts, some manufacturers advise against using these colors for exterior concrete. Interior slabs must be placed on a well-drained base or sub-grade and have a low moisture content before stain is applied. Jones believes the brown-colored "flowering" of blue-green stains is caused by oxidation of a copper component resulting from water vapor passing through the slab. Others believe the brown color is caused by a fungus, which can be eliminated by using sealers containing a fungicide. Both water- and solvent-based dyes are available, with each type having unique qualities. Water-based dyes, such as Colormaker's Someru, generally produce soft pastel tones. Bolder hues, including red, blue, yellow, green, purple, and orange, are possible with solvent-based products. 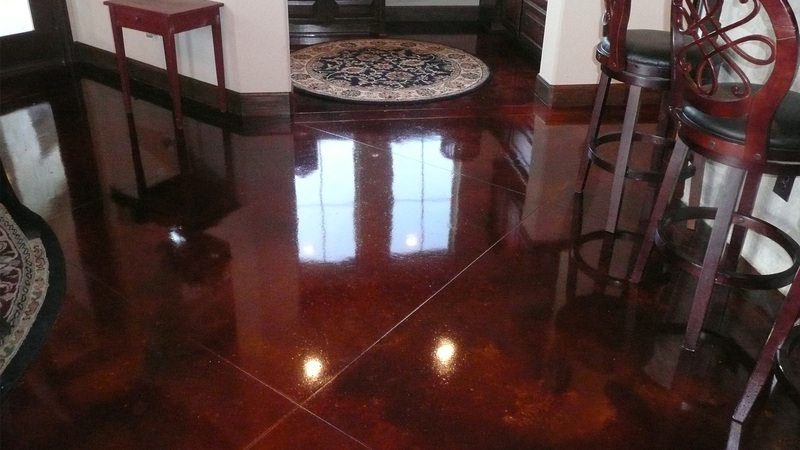 AmeriPolish from American Decorative Concrete Supply Co, and Dye-N-Seal from Brickform are examples.